30 journalists and columnists from now-closed Zaman daily are ready to appear before an İstanbul court on September 18 for “taking part in or supporting” a coup attempt in Turkey last year. The journalists will be brought to court to face “terrorism” and “coup-plotting” charges after having spent 419 days in detention, a punishment in itself imposed by the government, which blatantly abuses pretrial detention in order to muzzle and intimidate critical, independent opposition voices in Turkey. The case will be heard by the İstanbul 13th High Criminal Court in the notorious Silivri Prison compound. The Zaman daily, which was affiliated with faith-based Gülen movement, was first unlawfully seized by the Turkish government on March 4, 2016 and then closed down by government decree in the aftermath of a failed coup attempt on July 15, 2016. The daily was selling as many as 1.2 million copies a day at its peak and was covering judicial investigations into corruption allegations and illegal arms shipments to jihadists in Syria, which rattled the government of then-Prime Minister and now President Recep Tayyip Erdoğan. A total of 30 defendants are named in the indictment, 21 of whom are in jail. Mümtaz’er Türköne, Şahin Alpay, Ali Bulaç, Ahmet Metin Sekizkardeş, Ahmet Turan Alkan, Alaattin Güner, Cuma Kaya, Faruk Akkan, Hakan Taşdelen, Hüseyin Belli, Hüseyin Turan, İbrahim Karayeğen, İsmail Küçük, Mehmet Özdemir, Murat Avcıoğlu, Mustafa Ünal, Onur Kutlu, Sedat Yetişkin, Şeref Yılmaz, Yüksel Durgut and Zafer Özsoy have been in pretrial detention for 14 months as the judges repeatedly rejected challenges to their detention despite the fact that there was no reason to keep them in jail pending trial. 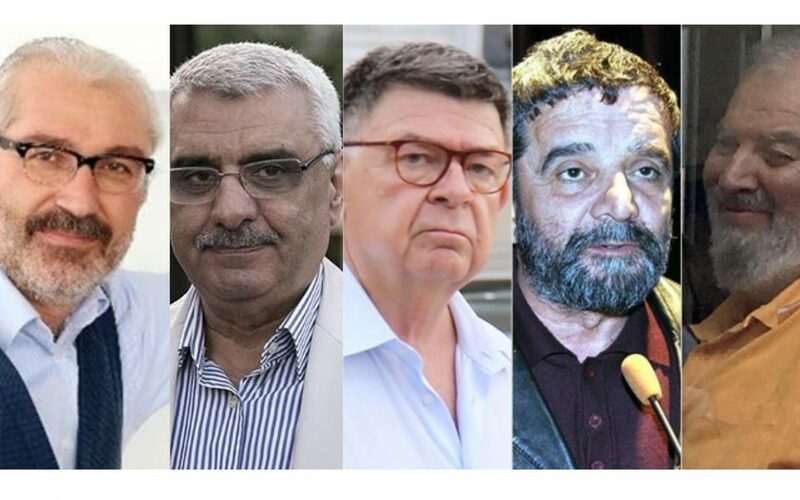 Ahmet İrem, Ali Hüseyinçelebi, Süleyman Sargın, Osman Nuri Arslan, Osman Nuri Öztürk, Lalezer Sarıibrahimoğlu, Nuriye Ural and Orhan Kemal Cengiz are also named as suspects in the indictment, but they are being tried without detention. Professor İhsan Duran Dağı, who used to work as a columnist for Zaman, is cited as a fugitive in the indictment.